Amazon’s Lord of The Rings streaming series will become the most expensive TV programme in history, costing $500 billion. The new series takes the record for spending the most on a series away from the Netflix epic The Crown. Lord of The Rings will run for five seasons and reveals the events in Middle Earth which led up to The Fellowship of The Ring, the first book in writer JRR Tolkien’s trilogy that was so successful at the cinema, grossing $2 billion. The new series will ignore the film plot saga of destroying the powerful ring. But how can Amazon justify spending so much money on streaming TV through the Amazon Prime service? In 2016 Amazon chief Jeff Bezos said: “When we win a Golden Globe, it helps us sell more shoes”. 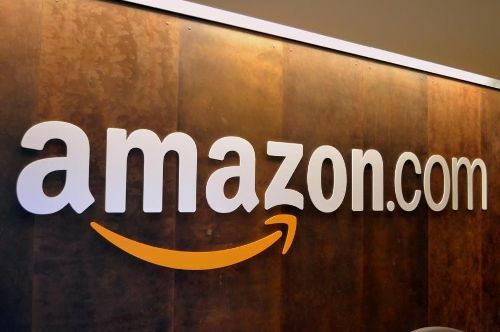 His blunt business approach is customers that sign up to the Prime service buy spend more shopping with Amazon, therefore if the company produces streaming content that people sign up to see, these customers boost the company’s sales. Take The Grand Tour – the BBC Top Gear series transplanted from terrestrial TV to Prime. The series cost $35 million to bring to the screen, but the cost indicator is all about what viewers watch first when the sign up. The Grand Tour won as Amazon’s highest demand/lowest average cost of acquisition for new viewers, along with The Man In The High Castle. Amazon signed 1.5 million new Prime customers to watch The Grand Tour, at a cost of $49 a customer. Although The Grand Tour took half of the Prime sign-up fee of around $100 depending on which country the viewer lives in, Prime customers spend more, so boosted Amazon revenue overall. The company expects the same from The Lord of The Rings – a boost in new customers from the first series and then a low churn rate – customers leaving – because they will remain to watch the rest of the series. Other series do not perform so well. The Good Girls Revolt attracted just 52,000 new Prime subscribers for an $81 million production bill, but the metric was each new viewer cost $1,560. This show was not recommissioned, which experts say proves Amazon keeps an eye on this cost per first screening metric as a measurer of success for a programme.